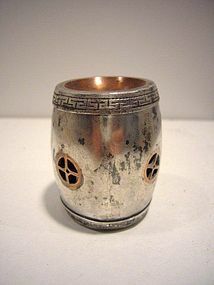 Silver opiumbox, inlaid with copper and with a copper roller in the lid. Marked at the bottom. China, 19th century. H. 5 cm.